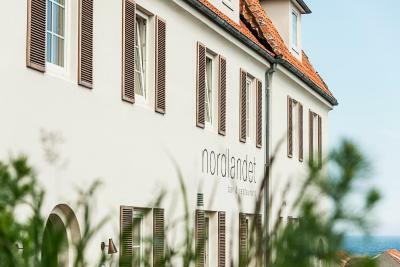 Lock in a great price for Nordlandet – rated 8.5 by recent guests! 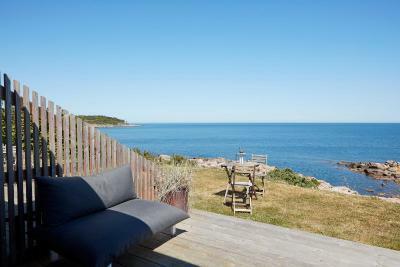 Beautiful location with stunning ocean views. 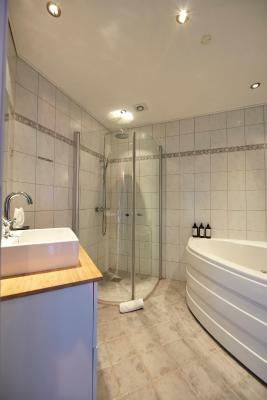 The property is well presented and decorated to high standards. 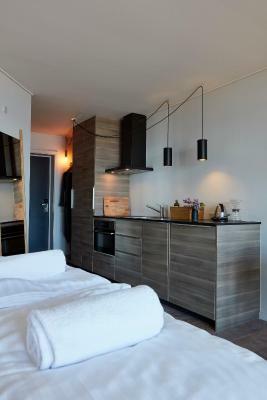 The views were amazing, the room was sparking clean and beautifully designed & furnished. The restaurant was stellar. We were sad to leave! 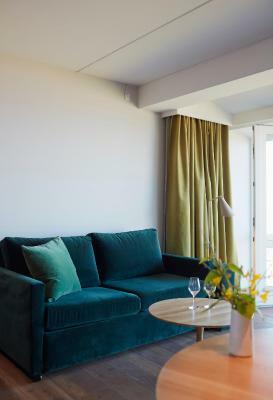 Raw, wild beauty of seafront in this recently renovated hotel with a modern, Nordic feel. The staff were lovely, restaurant is a lovely space with a view to die for. Fantastic food at the under bar and in the restaurant. 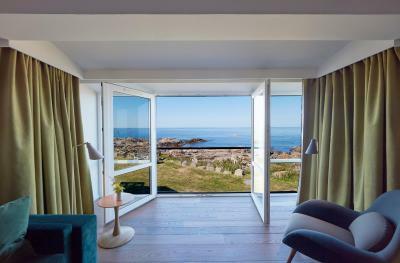 A lovely modern hotel in a great location, by the sea. Perfect place to unwind. 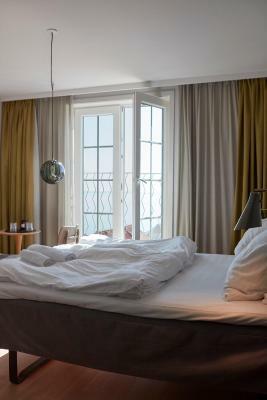 Everything was great, from our room with a balcony with a view to the sea, to the gin & tonic at the Underbar, to our Breakfast out on the terrace. Shame it was a bit too windy and chilly to have a dip in the sea. Liked the style and the location of the property. Liked the bed and the bedding. Super view. 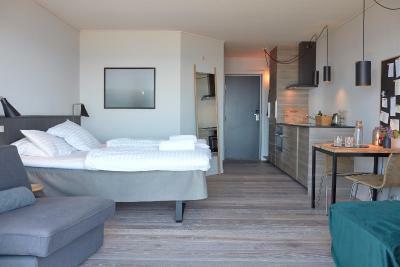 Nice terrace in front of room with sunbed. Fremragende beliggenhed og utrolig venligt personale, der gjorde, at man følte sig som kærkomne gæster. Flot morgenbuffet med lige lidt ekstra. Fantastisk at nyde udsigten fra restauranten. Beliggenhed - Beliggenhed - Beliggenhed. Hyggeligt rolig atomsfære i de absolut bedste omgivelser. Hyggelig lille bar/restaurant i kælderen (Underbar) med lækker mad og høflig betjening, dog med et lidt noget begrænset menukort. Exzellentes Frühstück und Service. Das hauseigene Restaurant hat eine gehobene Kategorie: mit den inseltypischen Preisen der Gourmetküche. 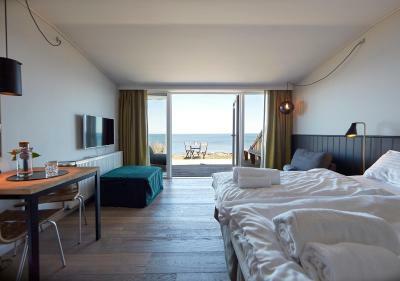 Nordlandet This rating is a reflection of how the property compares to the industry standard when it comes to price, facilities and services available. It's based on a self-evaluation by the property. Use this rating to help choose your stay! 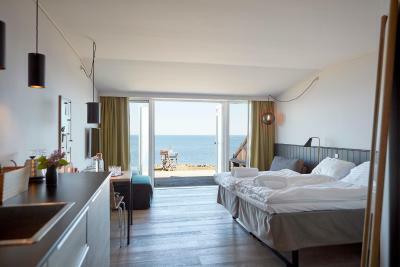 One of our top picks in Allinge.Located on the northern coast of Bornholm Island, 0.9 mi from central Allinge, nordlandet offers panoramic views of the Baltic Sea. 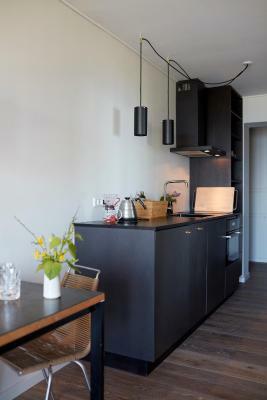 New age Nordic cuisine can be enjoyed at the hotel's popular on site restaurant, Sommer Pony. Free WiFi is available. 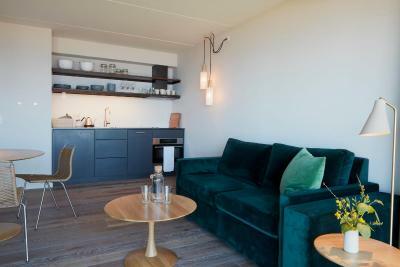 A sea view, contemporary Nordic furnishings and a seating area are featured in each guest room. The private bathroom has a shower. 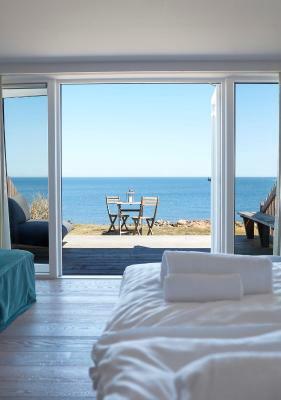 Mornings at nordlandet can begin with a breakfast menu that features local ingredients. Lunch and dinner are offered seasonally at the in-house restaurant, along with a variety of wines. The bar and terrace also offer a spot to relax with a drink and company. Just 1,650 feet away along the coast is the scenic Hammerknuden rock formation. The surrounding area provides nice opportunities for hiking, cycling and fishing. 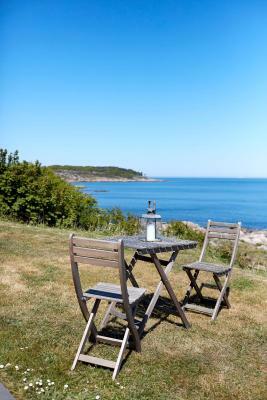 Allinge’s picturesque town center has plenty of shops, restaurants and cafés. 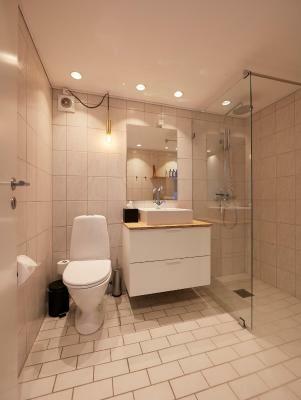 This property also has one of the top-rated locations in Allinge! Guests are happier about it compared to other properties in the area. 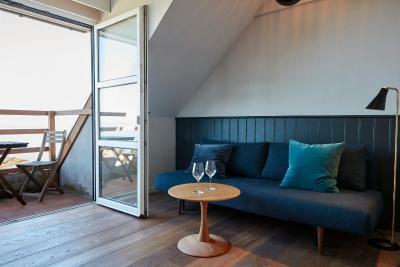 When would you like to stay at Nordlandet? 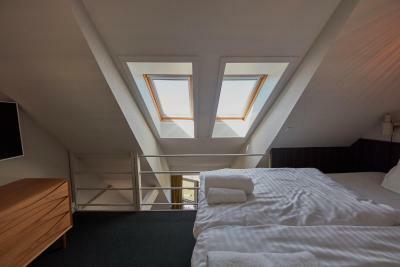 These rooms are located in the main building or the annex and offer panoramic view of the Baltic Sea. This family room has a bathrobe. 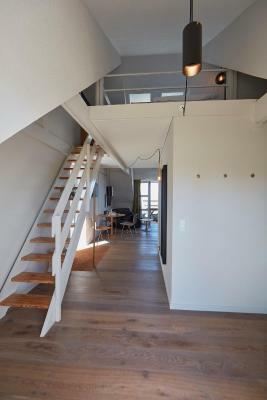 This apartment consists of two floors and has an open space set-up. 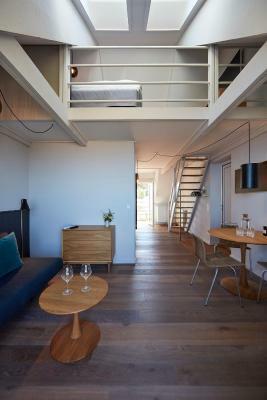 Both the living room and bedroom are in an open space. 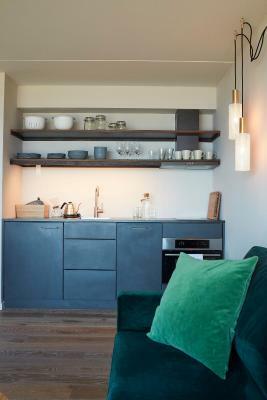 House Rules Nordlandet takes special requests – add in the next step! Nordlandet accepts these cards and reserves the right to temporarily hold an amount prior to arrival. Please note that the restaurant is open for lunch and dinner from 1 May until 30 September. Please inform Nordlandet of your expected arrival time in advance. You can use the Special Requests box when booking, or contact the property directly using the contact details in your confirmation. We randomly booked a double room which was on the 2nd floor, no elevator, and very small. 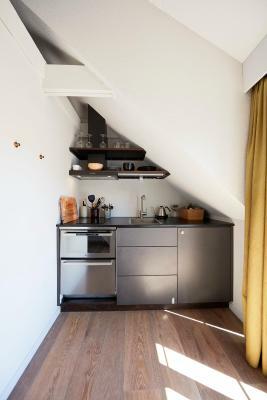 I was impressed how everything could be crammed in with snug design touches. Staff was very accommodating in getting us a more spacious room. Price is a bit steep. Compact room, well equipped, no faults. Room small. No space to leave your stuff. Dark and strange smell, could only open the front door, no other window to air the place out. Old, small and dirty bathroom with mold. The view from our room was excellent. Staff very cool and uninterested- no warm welcome. By English standards the hotel was very expensive, and we live and dine in London !!! 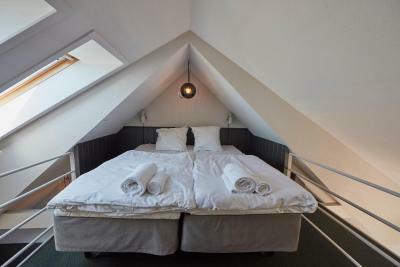 The bed was on a mezzanine accessible by a steep set of steps - no one checked if we were fit enough to climb the stairs. My partner fell down them one morning.